For our Curatorial Stories edition, we reached out to two previous awardees to speak about the process behind their Emily Hall Tremaine Foundation exhibition and how it connects to their wider curatorial practice. For our first interview, we spoke with FICITILIS, a project-based duo focused on interdisciplinary research that often unites social and environmental activism. FICTILIS talked with us about how they organize curatorial projects outside of the traditional institution, and why they often choose to develop their own. We also explored the concepts that prompted their 2017 exhibition Museum of Capitalism, and how the pair plans on continuing its momentum as an established institution without a permanent location. You can read our interview, and view selected documentation from the Oakland-based exhibition, in the piece below. Exhibitions on the Cusp: What do you view as a few of the key drawbacks of housing an exhibition inside of an institution? How does your collaborative practice attempt to work against these drawbacks? Why does FICTILIS tend to develop its own institutions for your projects? FICTILIS: We’re not sure it’s possible to work completely “outside” of institutions, whether they’re art institutions, markets, or capitalism itself. Though the Oakland exhibition may have appeared at some remove from traditional institutional sites, it is still thoroughly shaped by them. One of our strategies has been to put the drawbacks you refer to on display, as it were, as part of the work, reminders that it is still unfinished. We tend to think of institutions as inherently limiting, but well-designed institutions can also create new possibilities. Just as the solution to a bad economy is not no economy—no labor, no exchange, no enterprise, etc.—but rather a good economy, The question becomes: What is an institution for? What (else) can an institution do? There is a rich history of artists working in and through institutions to offer “critique.” We’re inspired by contemporary projects like Not An Alternative’s Natural History Museum that are doing more collaborative work within and across institutions to effect an institutional “liberation” that goes beyond symbolic oppositional gestures. We think of our own work as a kind of institutional production, along the lines of Cornelius Castoriadis’s ideas about how society is always in a process of instituting, or Gerald Raunig’s recent writing on the “instituent practice” of art. But we’re still feeling our way through this process. Of course, there are practical reasons for avoiding certain existing institutions, which may have prohibitive entrance fees or may simply feel inaccessible because of their location or assumed audience—who belongs and who doesn’t. While not totally avoiding these issues, our attempt to develop our own institutional identity and site the Museum of Capitalism exhibition in a space not already ‘marked’ by other (art) institutions was an attempt to reach broader audiences, whether as visitors to the physical exhibition or simply as consumers of the news (and propagators of the concept) of a museum historicizing capitalism. 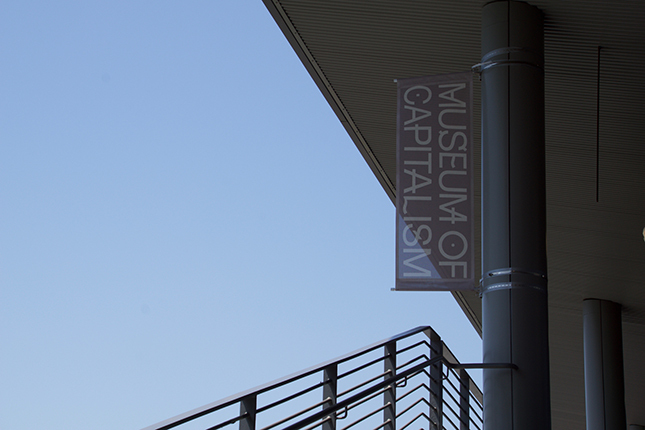 Was the Museum of Capitalism an extension of a previous project? How did it intend to activate communities that exist outside of the traditional art world? The 2017 exhibition was the first physical full-scale exhibition of a concept we’d been working with for several years. 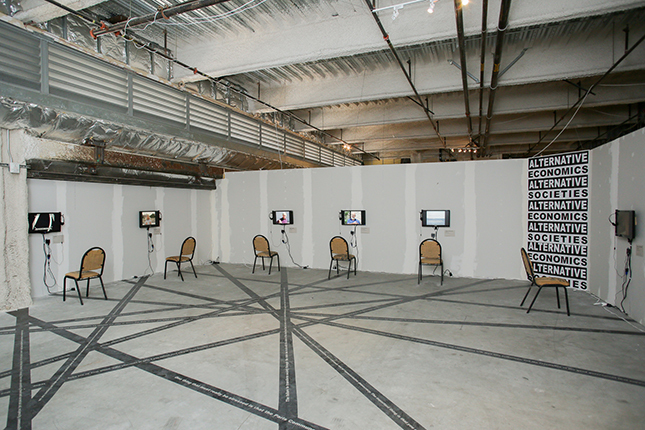 Other manifestations of the Museum of Capitalism included an artifact drive, an architecture competition, a book, and several workshops with artists, anthropologists, and other groups. We think of the larger project as a framework or scaffolding upon which a variety of practices—‘artistic’ or otherwise—can build and grow. This has meant collaborations with archives and archivists, activists, educators, and many ordinary people. Though the framing of the exhibition may seem specific—a potential drawback of working within our own institution!—we try to keep the framework open enough for those who choose to work within it to have some room to explore. And while the museum functioned as an exhibition, it was also intended as a place for learning, feeling, imagining, meeting, and organizing. And it was used in these ways by many of the over 10,000 people that came through in two months. So in addition to art, what the museum “exhibits” is the need for a better understanding of capitalism and means of processing our emotional attachments to it, as well as the need for creative entryways to civic engagement that might avoid the deadening familiarity of the present. Our museum doesn’t have the kind of historical distance from its subject that other museums may have, but it also suggests that no historical tragedies have the definitive closure that would allow them to be neatly contained in a museum. 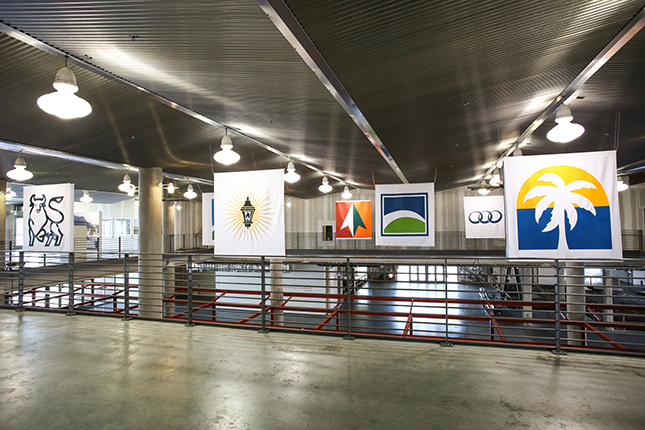 Why was Oakland an appropriate setting for the exhibition? To some, Oakland represents the shining star of 21st-century global capitalism. Oakland is also one of the most rapidly gentrifying cities in the US, caught in the middle of the Bay Area tech boom, with a rich history of radical thought and social movements. And it’s the people living in this place, or visiting it, who really complete the exhibition, bringing their histories to the experience of this collection of objects in space, and getting different things out of it. 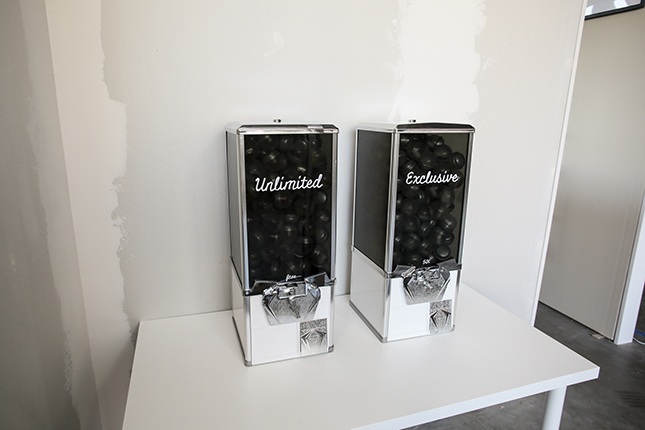 For an exhibition whose perspective has a certain “untimeliness,” memorializing capitalism too soon (as some would argue), there is a corresponding relation to space—to what is considered to be inside and outside the museum’s walls. One of the ways we played with this was by labelling parts of the building and the neighborhood as included artifacts and exhibits. Our museum doesn’t have the kind of historical distance from its subject that other museums may have, but it also suggest that no historical tragedies have the definitive closure that would allow them to be neatly contained in a museum. 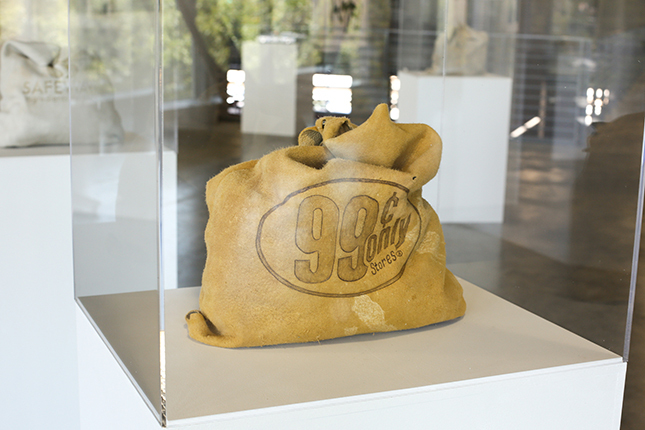 So rather than grasp for some pure space outside capitalism, the exhibition reveled in the messy contradictions and questions raised by putting a Museum of Capitalism in present-day Oakland. 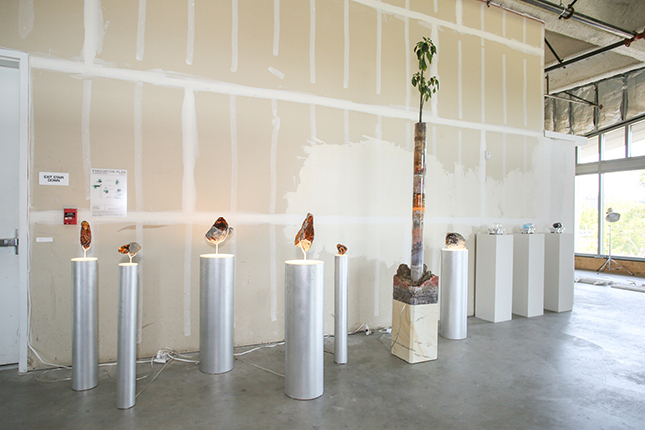 Oakland also happens to be home to our studio as well as several amazing artists like Sadie Barnette, Carrie Hott (both recent Artadia award recipients!) as well as Gabby Miller, Packard Jennings, Center for Tactical Magic, Kate Haug, Art for a Democratic Society, and others. It was incredibly gratifying for us to share conversations together and witness these artists, coming from different perspectives, engage with the museum concept in a variety of ways. We’re grateful to them for being open to what must have seemed an unusual curatorial invitation, and in the end making the museum a reality through their works. Will there be future iterations of the Museum of Capitalism? 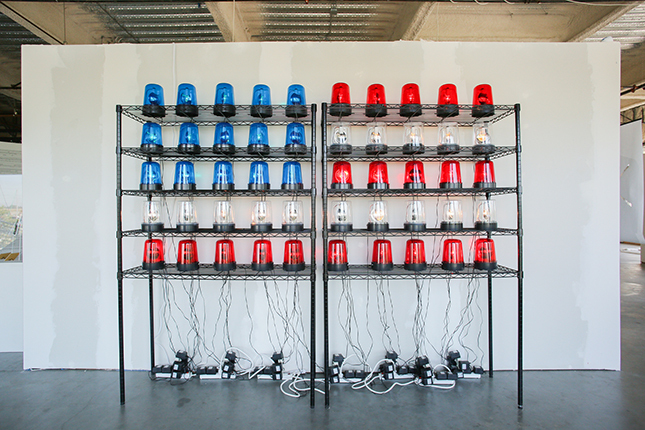 How do you hope to continue the momentum created in the inaugural exhibition? The Museum of Capitalism is definitely an ongoing project. We see it as the founding of an institution whose beginnings are a bit humbler than historical museums of similar scope. It’s an interesting challenge for us to develop ongoing programming for a museum with no permanent physical location. We created a publication for those unable to visit our physical exhibitions and events. It was published by Inventory Press and contains short speculations we commissioned on the museum concept by various writers and documentation of some of our artifacts and exhibits. We are currently working on bringing a version of the museum to Boston later this year, then New York, and other cities in the future. We hope to partner with other institutions and communities to realize the potential of the museum as a framework for curatorial and artistic work, but also pedagogical, civic, activist, and so on. Do you view your collaborative projects as having stronger ties to an art-based or curatorial practice? In which ways does FICTILIS operate as both? Do you each have your own personal practices? Our projects sit squarely in that gray area between art and curatorial practice. But this isn’t unique to us. The role of the curator has expanded beyond the acquisition of artworks for a collection to include the creation of creative thematic exhibitions and events. And artists are often collectors—of images, experiences, references, objects and materials—to use as inspiration, reference, or as raw material in their work. It seems the line between artist and curator has blurred, and keeps blurring. More and more artists create work that consists in creative display, organization, re-purposing, or re-working of pre-existing content, rather than producing their own “original” works, both as exhibitions and as the work itself. To say nothing of the long history of artist-run spaces and artist-curated exhibitions. So art and curating are not so different to begin with. For us the two are intimately intertwined, and we emphasize one role or the other at any given time based on what’s best for the work. We tend to focus on doing justice to the project without stopping to ask “Am I an artist or a curator right now?” In the case of Museum of Capitalism, we are working with the museum as a form, a practice which has its own rich history. We have separate practices that are more focused on text and sound, but our current priority is collaborative work, which provides outlets for our interests and can often take on a life of its own. Can you tell us a bit about the origin of FICTILIS? Why did you choose to work under this title rather than your own names? 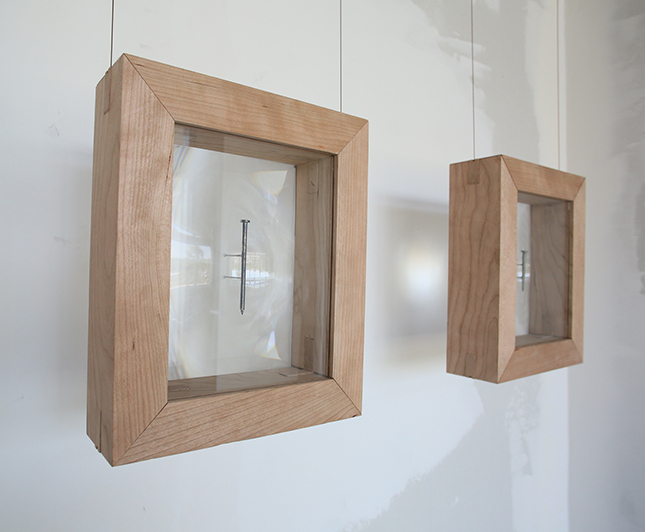 FICTILIS began as the name of our artist/curatorial studio in Seattle in 2010. We chose the name, which comes from a Latin word for “capable of being changed,” to describe the form of our multimedia, project-based work, as well as the culture it operates in and on. It was pretty apparent to us from the start that collaboration creates things that are not necessarily a straightforward combination of two people’s identities, so it was never a question that we would need a name for this thing that wasn’t us. What is a unifying theme amongst the several projects you have curated as a team? We’re constantly trying to explore links between what are considered social and environmental issues and to complicate their all-too-common separation into distinct domains (or what we call “confluency,” with a nod to Kimberlé Crenshaw’s notion of intersectionality). Other common themes are language, waste, and practices of collecting, display, and exchange. However, as our name suggests, we’re not overly concerned with maintaining the kind of consistency that might make our output more legible as a body of work. We’d rather stay flexible and adapt to circumstances.